Peace on Your Wings is an original musical commissioned by the Honpa Hongwanji Mission of Hawaii on the occasion of its 125th anniversary. It was developed by Ohana Arts, a non-profit organization whose mission is to promote peace and world friendship through the universal language of the arts. 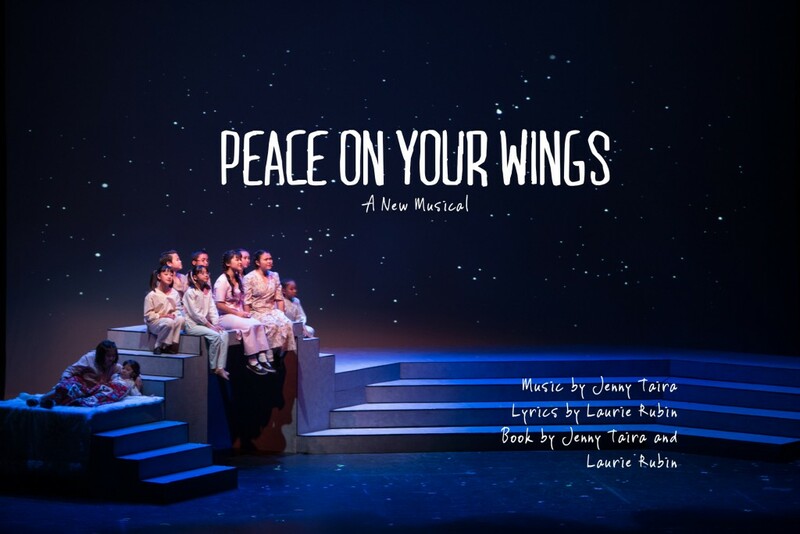 The musical was inspired by the life of Sadako Sasaki, a 12-year old girl who died from leukemia resulting from radiation caused by the atomic bomb dropped on Hiroshima. Through a special partnership with the Southern District BCA and the Japanese American Cultural and Community Center (JACCC), $10 will be retained by each BCA temple/church for every $35 adult orchestra level ticket sold by that temple/church (not applicable for $15 child tickets). Orders can be placed in the red envelope in the VHBT lobby, or mailed to Dianne Kujubu Belli (address on order form). (if you get your order in by the early deadline, you’ll have a better chance of sitting with your fellow VHBTers).